Aubrie Sellers "New City Blues"
Country singer-songwriter Aubrie Sellers marked January 29th with the release of her debut album, New City Blues. 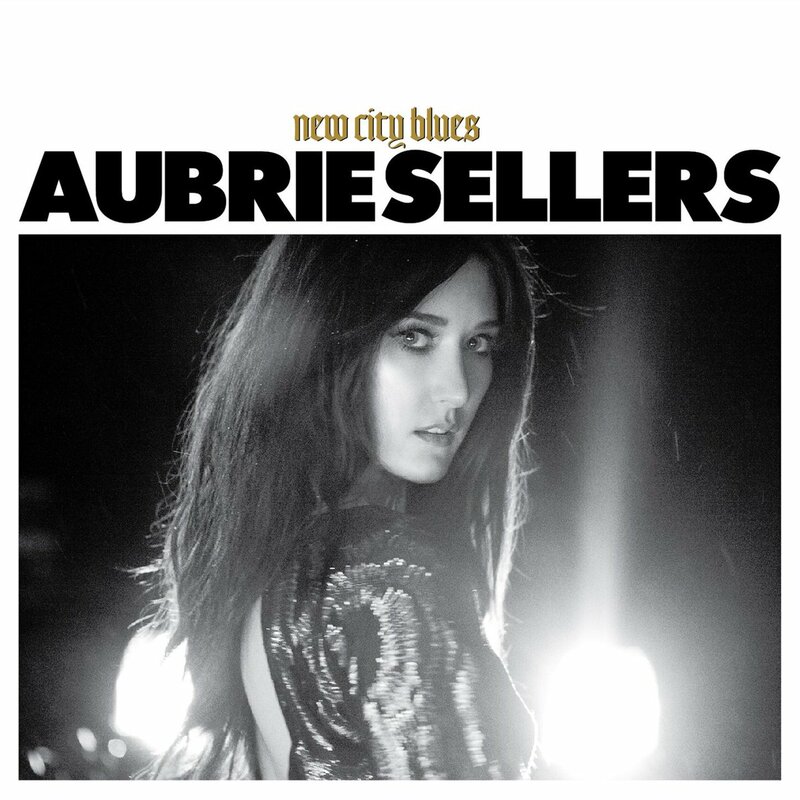 With an interesting mix of song-writers included on a release where Aubrie has co-written every track (with two that are written solely by her), New City Blues is a very impressive album that firmly makes her mark as both a singer and a song-writer. There are quite a few very strong points in this album and four tracks really stood out for me. Loveless Rolling Stone channels a bluesy feel that really suits Aubrie's tone and the production is pitched at a level that supports her vocal rather than overpowering it. I would loved to have seen the (too) short stripped back section built upon, it is incredibly effective. With a similar overall sound to Loveless Rolling Stone, People Talking is another impressive track. The electric guitar and drum led production manages a relaxed yet steady delivery that makes you, as a listener, immediately want to tap your foot along and you will, inevitably, find yourself listening to it again and again. Aubrie's vocal sounds comfortably at home as the instrumentalisation grows and fades and, whilst the linear notes don't specify who is singing backing vocals on the track, his voice blends well with Aubrie's to create a very listenable track. Liar Liar plays on a bluesy rock influence that sees Aubrie's vocal dripping with attitude. This production mix is very successful here, the heavy drum beat and electric guitar line is paired back enough that you still hear the overall sound idea but they don't control the track and the bluesy influence adds an edge to everything - that Aubrie picks up well - rather than just making it an overly rocky number. The real gem of the album is the penultimate track Like The Rain. The lyrics are some of the strongest you'll hear on New City Blues. With lines like "he floods my heart and leaves it desert dry" and "no flower grows on sunshine alone" the song-writers have done a great job of painting a really emotive picture that Aubrie builds upon with her heartfelt vocal delivery. Like The Rain as a whole really draws you in, a gorgeous track that really showcases Aubrie at her best. My only negative from this album is that there are a few instances where everything just gets too rocky and, by extension, a little messy. Paper Doll, for instance is immediately very rocky and it just feels a little out of place alongside the rest of the album. It's a shame as the lyrics are strong but it is one of the only tracks on the album that I haven't really listened to much, the production is uncomfortable and does nothing to show off Aubrie's vocal. As well as having a very strong team of musicians playing on the album, backing vocalists Adam Wright, Frank Rische, Grant Vogelfanger, Dani Flowers, Lee Ann Womack and Jason Sellers can't be faulted and their vocals compliment Aubrie's really well in every instance. Aubrie has released a remarkable album here and she should be proud of it. I was able to see a very strong set from her at last year's Country To Country Festival and I hope that we will see her back in the UK on the strength of this album very soon. I'd definitely recommend purchasing, Aubrie manages to blend a mix of influences and create an album that firmly plants her as an artist to watch. I'm excited to see how her sound develops! Labels: Aubrie Sellers "New City Blues"